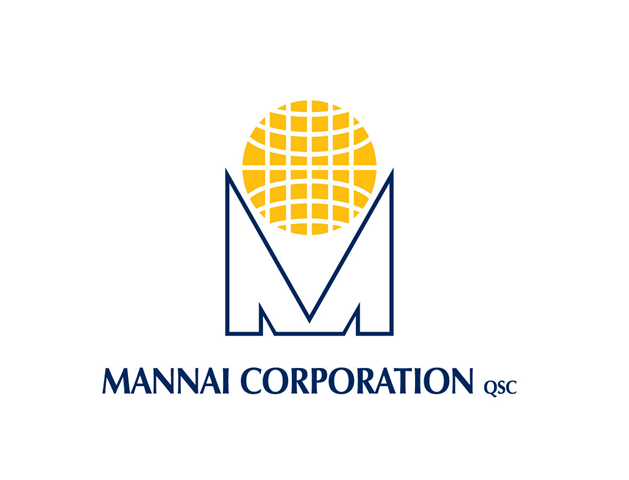 Mannai Corporation’s ICT group presented a set of its new IT and communication Cloud-based solutions and services for Small and Medium Enterprises (SMEs) in Qatar together with its partners Qtel and Microsoft. This event was held during its ‘First End to End Cloud IT Solutions for the Private Sector’ event held at the Holiday Villa Hotels and Residence, Doha. "With the Cloud, smaller budgets are no longer a hindrance to an SME’s ability to compete in the market with its peers and larger enterprises. SMEs can operate cloud based virtual servers and a host of applications that can be rapidly deployed and achieve a higher ROI," said Dr Sanjay Modak, Group General Manager, Mannai ICT Group. SMEs can now obtain all their Qtel business products and services requirements from Mannai, which acts as a one-stop shop and brings a greater range of offers and value to the customer from both companies. "Today, Mannai takes an innovative approach in offering end-to-end ICT products and services with its partners. This wide range of IT solutions, ranging from economical ERP packages to Microsoft’s Office 365 cloud based offerings to website construction and e-commerce enablement, is provided on a flexible OPEX model, which reduces SME costs while providing highly scalable, elastic and affordable scenarios for SMEs to enjoy the same levels of IT enablement as large enterprises but at a fraction of the cost. As a value addition, Mannai’s managed services model allows these businesses to focus on their core competencies while leaving their IT and communications worries in the hands of Mannai," said Moni George, General Manager, New Business & Markets, Mannai ICT Group. Microsoft, who were co-sponsors of the event, presented their Microsoft Office Productivity Solutions on the cloud. Microsoft Country Manager, Naim Yazbeck, was present at the event. 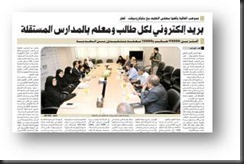 Mannai’s team presented the latest state of the art cloud based ERP and other solutions. The SME market for managed IT services is poised to grow rapidly during the coming years. 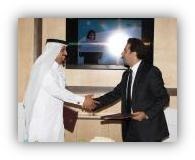 Mannai, recognizing this trend, has forged partnerships with key players and is today providing a comprehensive portfolio of ICT solutions to Qatar’s large SME market. This includes products and services such as ERP, CRM, security, webhosting, domain-based emails, backup/recovery solutions, document management, e-commerce and Qtel’s range of voice and data solutions. Coupled with Microsoft’s Office 365 and an unmatched support infrastructure with 24×7 customer support, Mannai is proud to bring the best technology to Qatar’s growing SME segment. 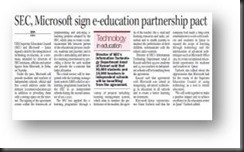 The Supreme Education Council (SEC) in partnership with Microsoft announced on Tuesday 12th of June 2012 that all Qatar independent schools will be equipped with Microsoft Office 365 for Education, featuring free email, instant messaging and collaboration tools at their fingertips. 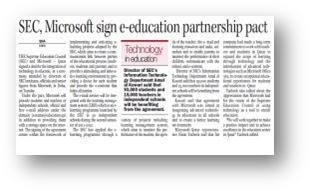 The cloud service will be provided to 93,000 students and 15,000 teachers across Qatar. His Excellency the Minister of Education has announced providing official email address under the domain name@education.qa for every student and teacher in Qatar aiming to expand the world of learning through technology. This announcement comes within the framework of implementing and activating e-learning projects adopted by SEC, which aims to transform education in Qatar to provide a stimulating and innovative learning environment. Office 365 has finally launched! 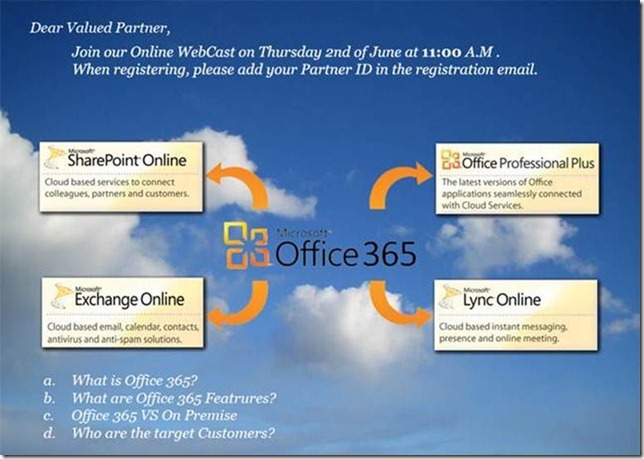 Office 365 brings you familiar Microsoft Office collaboration and productivity tools delivered through the cloud. Everyone can work together easily with anywhere access to email, web conferencing, documents, and calendars. It includes business-class security and is backed by Microsoft. Whether you are a small business or multinational enterprise, Office 365 offers plans designed to fit your organization’s unique needs. 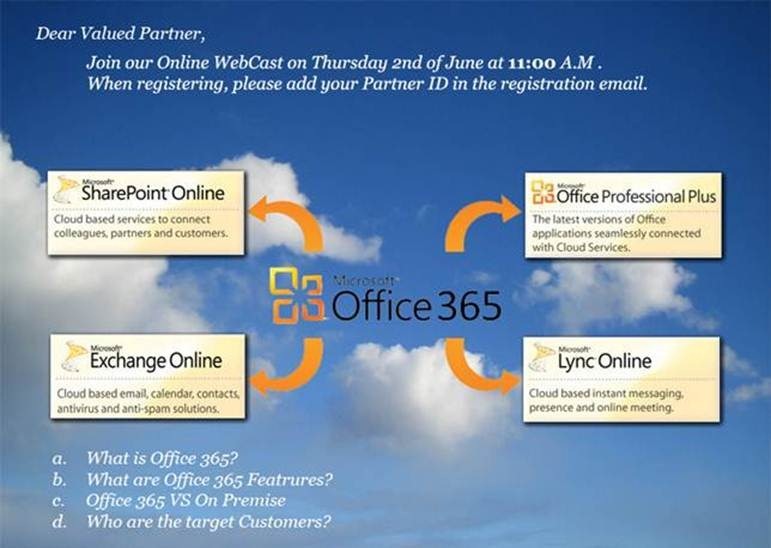 Check out the Office365 website and sign up for a trial to find out more! Virtually anywhere-access to email, important documents, contacts, and calendars on nearly any device (including PC, Mac, Windows Phone, iPhone, Android phones, Symbian phones, and BlackBerry). Office 365 works with the software your users already know and use like Word, Excel, OneNote and PowerPoint. An easy-to-use administration console allows IT administrators to stay in control of user accounts, access rights, and organization-wide deployment. Office 365 is a hosted online service within best-of-breed data centers that have received SAS 70 and ISO 27001 certification. Your security and privacy are paramount. Visit the Trust Center for detailed security, privacy, and compliance information for Office 365. You can count on Microsoft, an industry leader in productivity, for reliability. Microsoft provides a financially-backed 99.9% uptime guarantee. Microsoft Office 365 delivers the power of cloud productivity to businesses of all sizes, helping to save time and money and to free valuable resources. 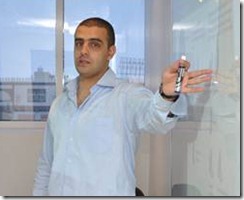 Join our Online Webcast with our Partner Technical Consultant Khaled Yehia on Thursday 2 June, 2011 at 11:00 AM. 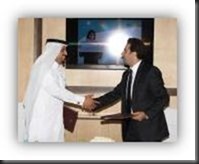 Khaled Yehia was recently in Qatar for the Microsoft University delivery. For registration please send your Partner ID to Khaled Yehia.